Up to 6 formats can be selected from this menu. 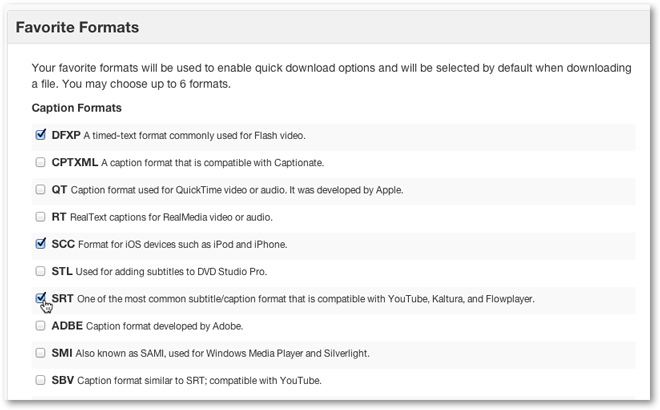 Once saved, these formats will be selected by default when requesting a quick download for a file from your 3Play Media account. Please note: Favorite Formats are a project setting and not a user setting. Any changes you make will be applied to your project and could impact other users! 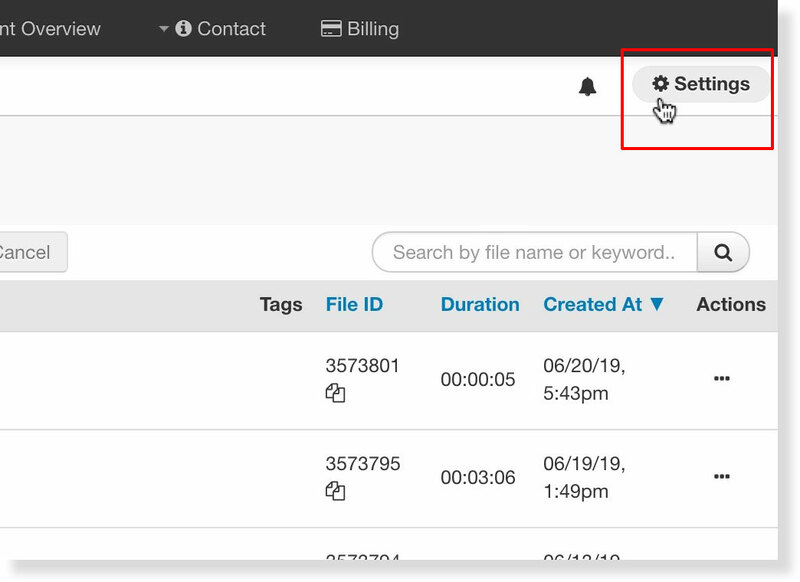 On the top, right hand corner of the My Files page click Settings. Select up to 6 closed caption and transcript formats. 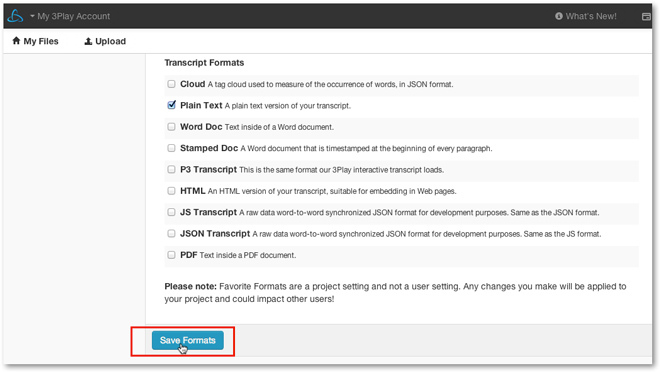 Once you have selected your favorites click Save Formats. Once Save Formats is clicked a green message bubble will appear notifying you that your favorites have been saved.